Whenever I am around and there's another pumptrack by pumptrack.de opened I enjoy documenting their openings. This might not be as spectacular as photographing professional mountain bikers in Italy, or camping at the foot of a mountain, but it's great to see the the community of mountain bikers, young and old, coming together, excited to play on a new playground. 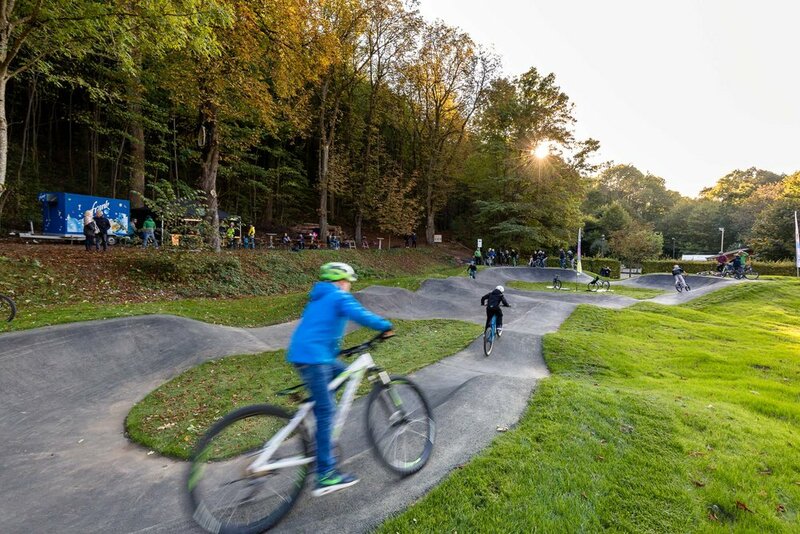 And it also reminds me of my youth of riding bikes and being part of the first opening of a pumptrack by pumptrack.de as a rider, not a photographer.